Conversations, files and photos are always protected end-to-end encrypted. You are always in control of your privacy. 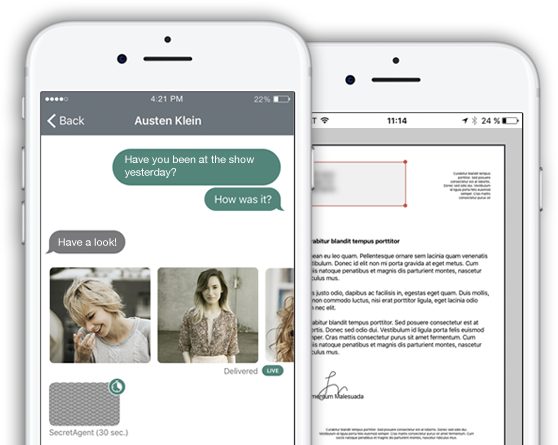 Full messaging suite supporting document and media sharing, on-board toolbox, self-destruct messaging, emojis and many more. Secure local file storage, editing tools for your documents and photos, document signing and secure backup functionalities. 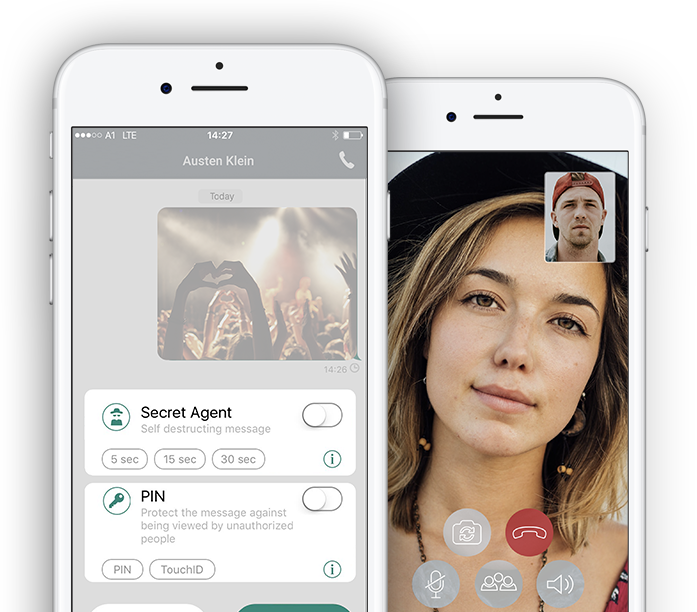 Military grade end-to-end encryption ensures that only you and the person or group you are talking to, have access to your conversations. Make high-quality face-to-face and group voice and video calls. Edit, sign and securely share and store your documents. assign multiple devices per user (coming soon). Access control to easily add new users, assign roles and revoke access.